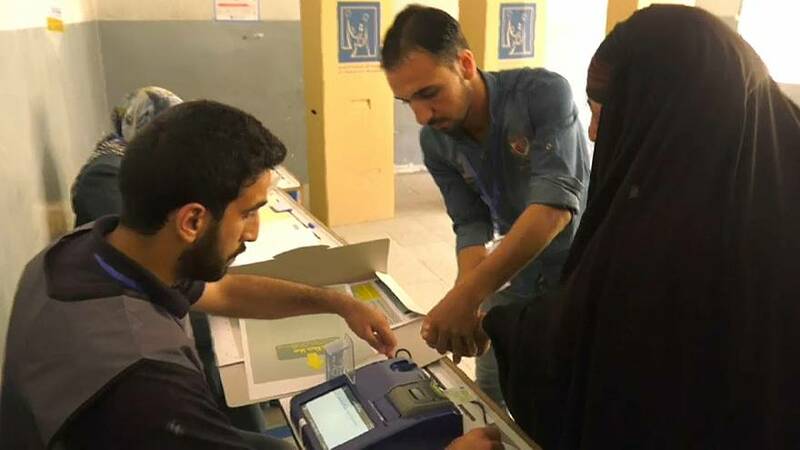 Moqtada al-Sadr, the shi'ite cleric who led two uprisings against US forces, is leading Iraq's parliamentary election with half of votes counted, according to the country's electorial commission. Pre-vote favourite and current prime minister Haider al-Abadi is trailing in third place behind Iranian-backed militia leader Hadi al-Amiri. Results have been counted from 10 of the country's 18 provinces with the final numbers expected today. Supporters of al-Sadr, who ran a fiercely anti-Iranian campaign have begun to celebrate although winning the popular vote does not guarantee the prime minister's position. Al-Sadr himself cannot take the job as he did not stand directly for election to parliament and the political system demands a consensus among the biggest groups over the country's leader. Iran, which wields significant influence in the Iraqi parliament, has said it would not allow Sadr's block to govern. The turnout was just 45 percent, far lower than in previous elections.